WASHINGTON HEIGHTS — Looking for plans for family night out this week? The popular — and free — KidsCinemaFest has you covered. The fifth annual festival, which will be held from Nov. 8 - 14 at various venues around Washington Heights, will screen dozens of family-friendly films from around the world at no charge to movie-goers. 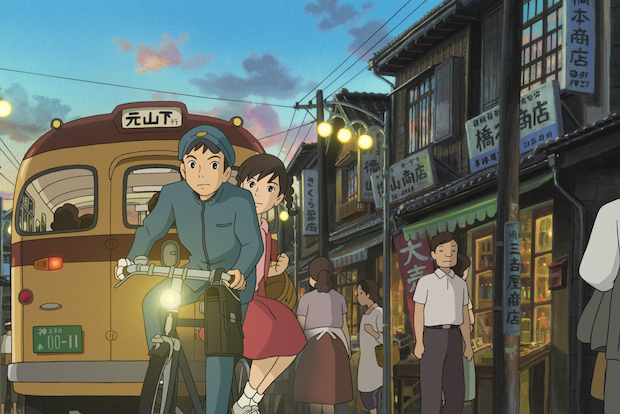 This year's festival will include several animated features, including "From Up on Poppy Hill," a 2011 film from Japan, set in 1963, about two high school friends who work to save a historic building from demolition. The characters are voiced by actors including Gillian Anderson, Jamie Lee Curtis, Christina Hendricks, Ron Howard, and others. The festival will also feature "The Painting," the 2011 French animated film about the mysterious abandoned pieces in an artist's workshop. CinemaFest director Armando Guareno, who also put together this summer’s Dominican Film Festival, hailed the festival’s lineup in a statement, saying: “This year’s film program strives to enrich the lives of children through the art of cinema." The festival schedule kicks off at Columbia University Medical Center’s William H. Black building with a screening of "Tio Papi," an American film about a fun-loving bachelor who becomes the reluctant caregiver to his sister’s six children. Other screening venues include the Alianza Dominicana Triangle Building, IS 52, and PS 132 Juan Pablo Duarte. For a full screening schedule visit www.kidscinemafest.com.